Manages the activities of the SeaTrek program onboard the vessel and on the islands. Provides guided tours, instruction and promotes equipment rentals on the islands. Each shipboard employee may be required to perform all functions in various venues throughout the ship and on the islands. 1. In accordance with Royal Caribbean International’s philosophy of Anchored in Excellence, each employee conducts oneself in a professional and courteous manner at all times. This consists of physical and verbal interactions with guests or fellow shipboard employees and/or in the presence of guest contact and crew areas. 2. Manages the SeaTrek program in accordance with the Aquatics Department Standard. Assigns duties, responsibilities and workstations to employees. Observes and evaluates employees and work procedures to ensure quality standards and service is met. Initiates personnel actions such as new hire requests and discharges, to ensure proper staffing. Approves overtime needs. 3. Manages the financial aspects of the SeaTrek program operation, including the successful identification of expense reduction through cost efficiencies and revenue growth through promotional and up-selling activities. Ensures the continuous and accurate participation of the aquatics operation. 4. Provides on-the-job training to staff members to strengthen their current performance and preparation for possible advancement to a Dive Manager position. Notifies M&R Manager regarding work schedules and time records. 5. Collaborates with the M&R Manager to plan alternative activities when the vessels change itineraries due to weather conditions. 6. Specifies SeaTrek program requirements, time sequences, and equipment arrangements. 7. Inspects island facilities, supplies, equipment, and work areas, to ensure efficient service and conformance to standards. 8. Recommends measures to improve work procedures and employee performance to increase quality of services and job safety. 9. Records production and operational data on specified forms. Analyzes operational problems such as theft and wastage, and establishes controls. 10. Requisitions supplies and equipment to ensure quality and timely delivery of products. Receives, issues and takes inventory of supplies and equipment, and reports shortages to designated personnel. 11. Onboard the vessel, works daily shifts promoting and selling SeaTrek activities for the islands and various shore excursions. 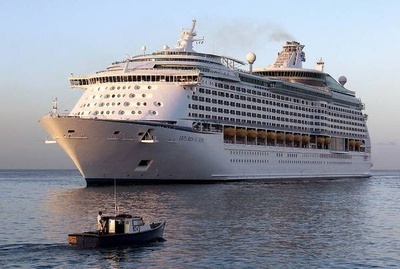 Provides information regarding the ports of call, shore excursions and general information regarding the vessel. 12. Monitors and may conduct PADI scuba diving courses consisting of class room and pool activities, according to PADI regulations and SeaTrek Program guidelines. 13. Oversees the loading and storing of shipments for the SeaTrek program. 14. May accompany guests on scuba diving and snorkeling excursions, within the SeaTrek program. Assists the tour operator and guests with equipment orientation and proper fitting of the equipment. Monitors tour operators to ensure quality controls and standards are met. Reports issues or problems to Shore Excursion Manager or other appropriate party. 15. Monitors the preparation and the daily activities of the Dive shop. Ensures equipment is issued appropriately and products and services are promoted and sold accordingly. 16. Monitors and conducts orientations to inform guests of the island facilities, the snorkeling area and the operation of the various equipment. Walks around the island to assist guests and provide general information. Responds to any type of emergency. 17. Monitors and may conduct guided snorkeling and or scuba diving tours in the assigned areas. Instructs guests of the proper use of the snorkeling equipment. Guides guests through the waters and identifies marine life. Maintains a constant awareness of the guests’ whereabouts and their safety. Responds to any type of emergency. Performs life saving procedures and CPR. 18. Monitors and may conduct guided wave runner and kayak tours. Instructs guests of the proper use of the equipment. Guides guests along the tour route and identifies wild life and points of interest. Maintains a constant awareness of the guests’ whereabouts and their safety. Responds to any type of emergency. Performs life saving procedures and CPR. 19. Monitors and may participate with SeaTrek team members in the parasail operation. Provides guests with instruction, orientation and ensures the guests are properly wearing the flight harness and personal floating device (PFD) equipment. Maintains a constant awareness of the guests’ whereabouts and their safety. Responds to any type of emergency. Performs life saving procedures and CPR. docks, buoy lines, lifeguard stands, etc. Monitors or may perform, regular inventory of all equipment and supplies. Ensures VHF radio equipment is in good working order. 21. Ensures physical and weekly rescue training is conducted according to established procedures. Reviews documentation for compliance. 22. Tests new snorkeling, diving and water sports equipment promoted by manufacturers. Prepares a detailed written report to the shoreside department regarding the feasibility of purchasing the equipment for the SeaTrek program. 23. Monitors and may participate, in maintaining a clean working and living environment on the island. May participate in the weekly unloading of provisions from the vessels. 24. Attends meetings, training activities, courses and all other work-related activities as required. 25. Performs related duties as required. This position description in no way states or implies that these are the only duties to be performed by the shipboard employee occupying this position. Shipboard employees will be required to perform any other job-related duties assigned by their supervisor or management. Professional Association of Diving Instructor (PADI) Open Water Scuba Instructor certification is required. Minimum of 50 certifications required for vessels offering PADI Scuba Instruction classes. CPR certification and life saving certification from the American Red Cross or similar certifying organization. Proof and possession of PADI insurance from Vicencia and Buckley of the USA, with the additional insured listed as “Royal Caribbean Cruises Ltd. and Subsidiaries and Affiliates.” Liability coverage required is US$1,000,000 for bodily injury & property and US$2,000,000 for combined single limit and annual aggregate. Demonstrated aptitude for the financial aspects of an aquatic or water sports operation, including the successful identification of expense reduction through cost efficiencies and revenue growth through promotional and up-selling activities. Demonstrated aptitude for the management of headcount within assigned area, as it relates to and supports the business needs of the vessel. Knowledge of principles and processes for providing customer and personal service including needs assessment, problem resolution and achievement of quality service standards. Knowledge of policies and practices involved in the human resources function. Ability to manage the international staff in a positive and productive manner by motivating, developing and managing employees as they work. Ability to utilize and administer the disciplinary action process through coaching and counseling to improve performance or terminate employment. Previous sales experience with the ability to sell, up-sell and/or cross-sell products and services. Ability to operate and perform maintenance on a variety of water and boating equipment such as boats, wave runners and kayaks, etc. Physical Requirements: The completion of all the following physical requirements are necessary and need to be completed in less than two hours. This must be demonstrated upon the arrival to the first assignment and 3 times a year thereafter. All job offers are contingent upon the successful completion of these requirements. One mile run: ability to complete a one-mile run in eight (8) minutes or less. Push-ups: ability to complete thirty-five (35) consecutive push-ups. The modified knee version is an option available to women candidates. Sit-ups: ability to complete fifty (50) consecutive repetitions. 400 yard swim: ability to swim 400 yards, in nine (9) minutes or less, while demonstrating at least three (3) different swim styles, the crawl or freestyle, breast stroke and side stroke. The majority of the distance can be completed by crawl or freestyle strokes. 1,000 yard snorkel swim: ability to swim 1,000 yards in nineteen (19) minutes or less, using a mask, snorkel and fins. Tow Inert Swimmer: ability to wear a mask, fins and vest, to tow an inert swimmer 50 yards while performing mouth-to-mouth rescue breathing. Once on land, CPR procedures must be performed.